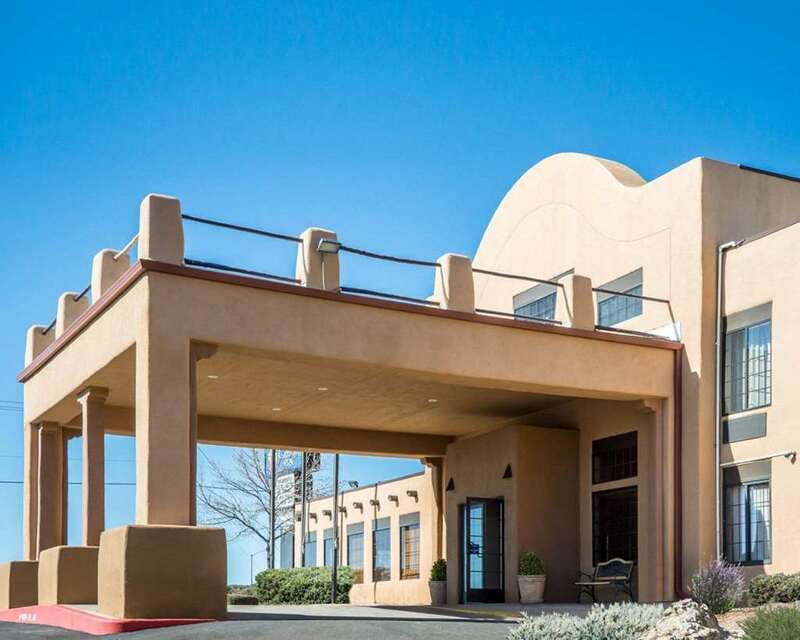 Rest and refresh at the 100 percent smoke-free, pet-friendly and renovated Comfort Inn hotel in Santa Fe, NM. We are near historic Santa Fe Plaza, Palace of the Governors, Santa Fe Opera, Loretto Chapel and Museum of International Folk Art. Amenities include free WiFi, free ample parking, free hot breakfast, business and fitness centers, indoor heated pool and guest laundry facilities. Behind every great day is a great night in your guest room, which features a coffee maker, iron and ironing board. Some rooms also have a refrigerator and microwave. Also, earn rewards including free nights and gift cards with our Choice Privileges Rewards program.